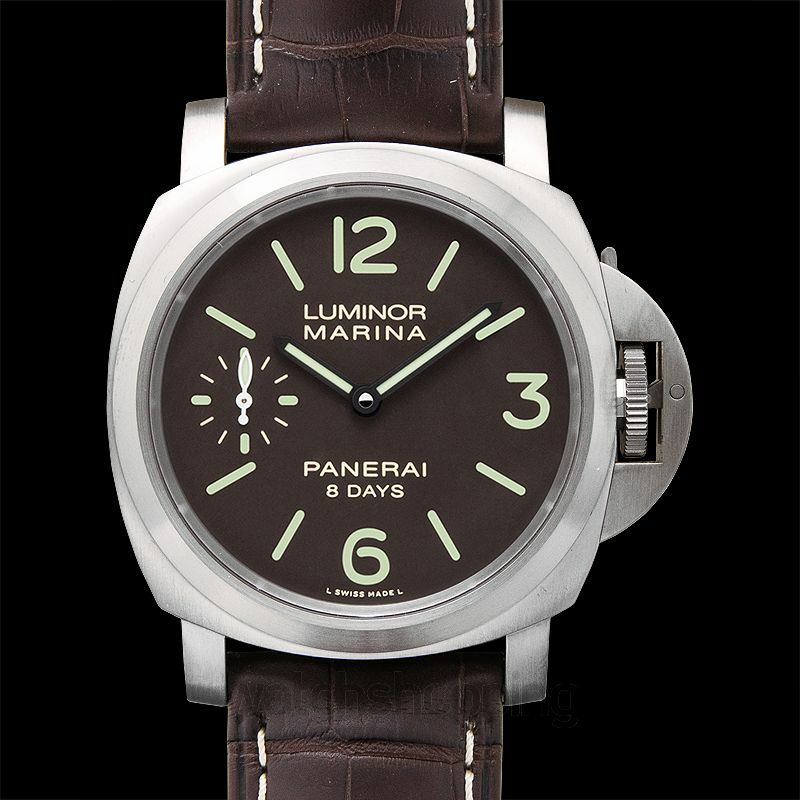 The Panerai PAM00564 is a Luminor Marina 8 days Titanio watch. 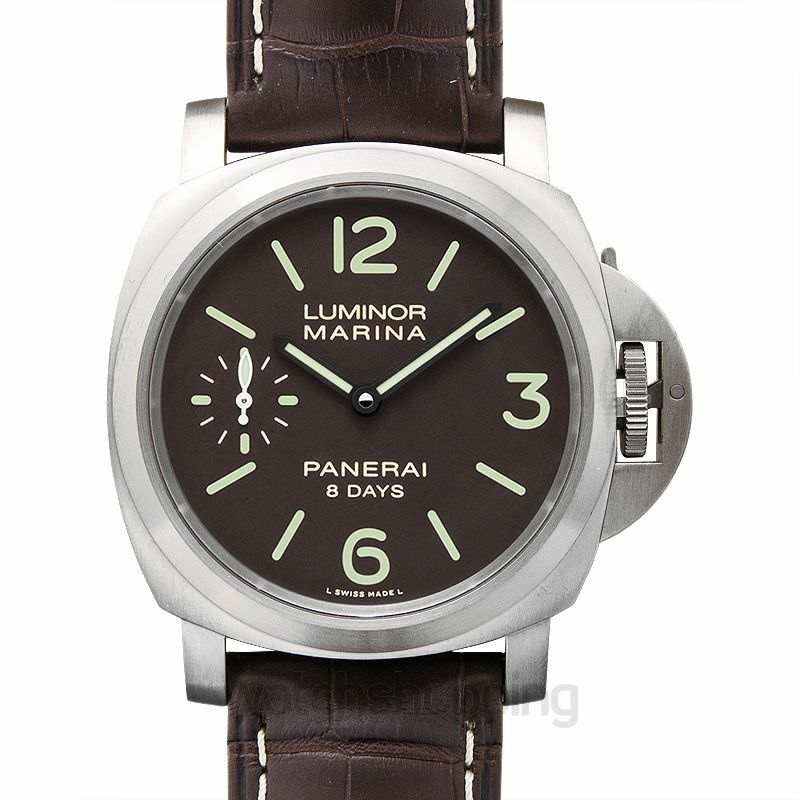 It comes with a brown dial that features silver-toned Arabic numerals and stick type index hour markers. 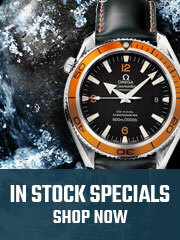 The dial also comes with a sub-dial at the 9'o'clock section. 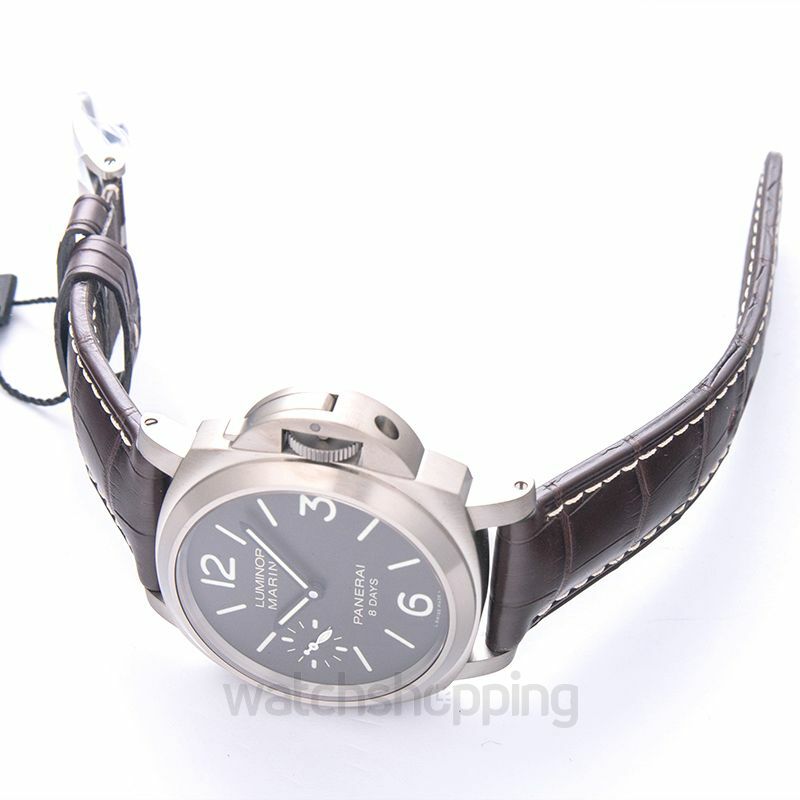 The watch is ideal for casual as well as formal usage. 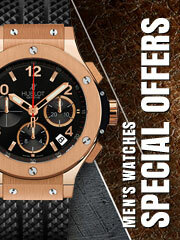 The watch is encased in a material that guarantees its durability and steady framework. The sapphire crystals help the glass stay scratch-free. 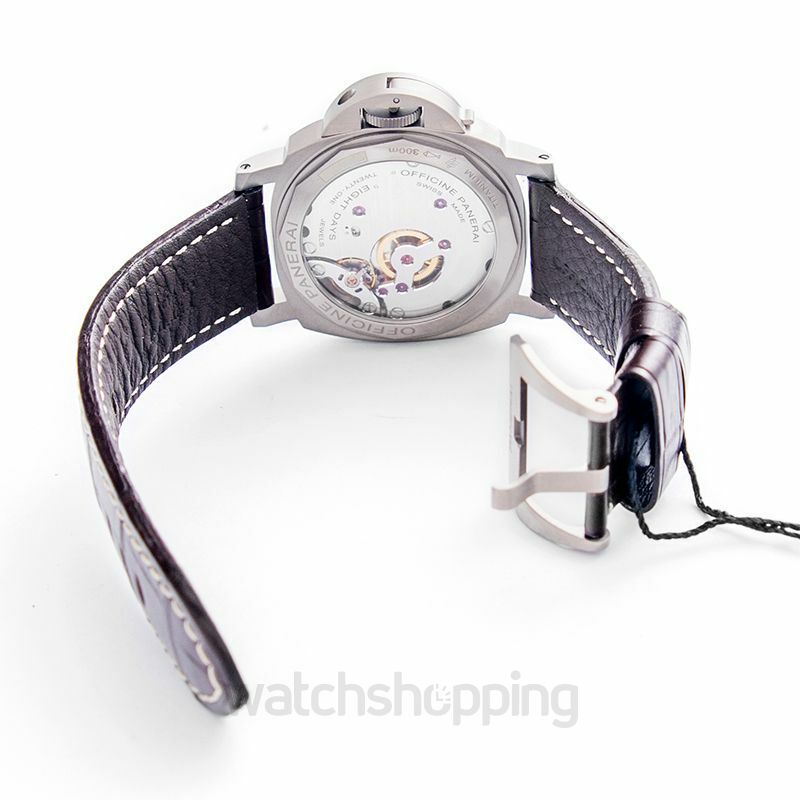 The caliber of the watch is hand-wound, mechanical. The reserve may last up to 8 days in total.